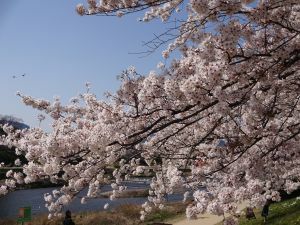 Cherry blossoms (sakura) are much more than just a flower to the Japanese, who have celebrated the blossoms in many ways for several centuries. During cherry blossom season many people have cherry blossom viewing parties with their families, friends or co-workers. They enjoy eating, drinking and sometimes singing while appreciating the beauty of the blossooms in the warm spring weather. 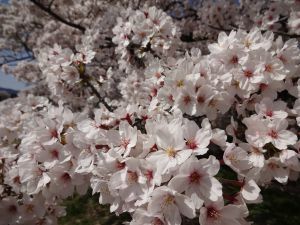 Why do the Japanese love cherry blossoms? One reason is that cherry blossoms are thought to symbolize the beginning of a new life. For children starting school and for graduates starting new jobs, April's cherry blossoms suggest a bright future. The other reason is that the Japanese aesthetic places a high value on ephemeral beauty. Cherry blossoms are very beautiful when they are in full bloom but last for only a few days. Japanese people love them all the more for their transience.